The team building sessions created excitement amongst the children for the ‘reading missions’ that were to come. At the start of the sessions the children found it difficult to listen to the ideas of others and to extend their own ideas when speaking but were more comfortable with this by session 15. This is an area that will hopefully develop through the whole think 2 read scheme. The children particularly liked the sessions where they looked at their own strengths and weaknesses. However, when filling the self-evaluation sheets in it was important to remind them to be honest as the children did not really like to admit that they found things difficult. This made allocating them a role more difficult and roles were allocated by session 8 once I had got to know the children better. Some of the sessions were easier to deliver back to back as the children seemed to respond better and develop the language of agree and disagree within prolonged sessions whereas after a few days away from the scheme they needed a lot of prompting to remember the language structures again. The team role badges really helped the children to engage with their own role within the group. As the sessions went through the responsibilities of each role the children became quite animated when it was their role that was being discussed. At first it seemed like a lot of information for the children to take in but it was definitely worth taking the time to study the roles in detail as now all members of the teams understand what the other members should be doing and know exactly how they personally contribute to the group. The children were engaging with each other more by the end of session 15 and understood clearly what being a good listener entailed. This took quite a lot of reinforcing but it has paid off as all of the children, whatever their ability can explain how to be a good listener. We are looking forward to starting the reading missions next week. Chris Watkins takes a closer look at collaboration between pupils:why do they enjoy it and how does it work? Working with friends. Working as a team. Working in groups. When we ask pupils and teachers how classroom pedagogy might be improved, this is what primary schoolchildren say. In secondary schools, meanwhile, a preference for learning with friends was voiced by 53 per cent of respondents in a 2008 MORI survey – an increase from 35 per cent in 2007 and 28 per cent in 1998. When we ask teachers about their own best experiences of learning, they regularly report times when they worked and learned with others – but by no means all of their examples come from a classroom context. So is there any point trying to develop more collaborative learning in classrooms? Cooperative learning has received increased attention in recent yearsdue to the movement to educate students with disabilities in the least restrictiveenvironment. Children with disabilities bring social needs, as well as academicneeds, which are not easily met in the regular classroom. The use of classroomcooperative learning peer groups with cooperative goal structures is a promisingalternative to better serve students with disabilities in the least restrictiveenvironment. In addition, it may also serve as a vehicle for improving theoverall social and academic climate for a school. As a result, it might also beconsidered to be an intervention of use in promoting appropriate behavior ofstudents in school, and in creating a positive behavioral climate in a school, thuspreventing violence. Overview: What is Cooperative Learning? 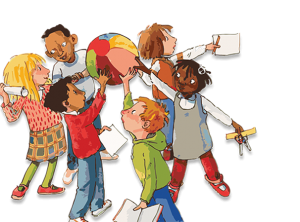 Cooperative learning has been defined as “small groups of learnersworking together as a team to solve a problem, complete a task, or accomplish acommon goal” (Artz & Newman, 1990, p. 448). 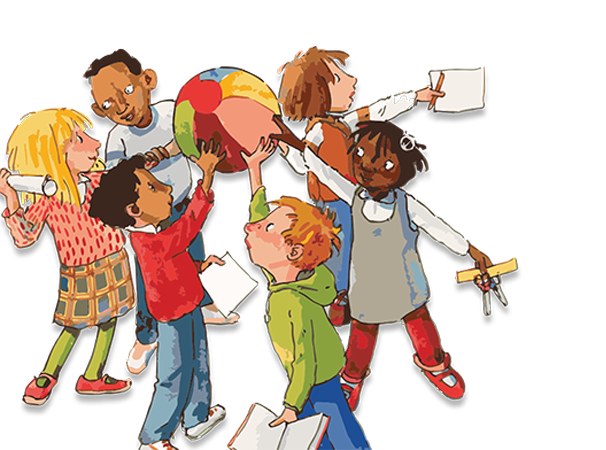 The cooperative learningmodel requires student cooperation and interdependence in its task, goal, andreward structures. The idea is that lessons are created in such a way thatstudents must cooperate in order to achieve their learning objectives.Although the basic principles of cooperative learning do not change,there are several variations of the model. The leading developers of cooperativelearning include Robert Slavin, Roger and David Johnson, and Spencer Kagan,all of whom have slightly different approaches and emphases (Metzke &Berghoff, 1999). Johnson and Johnson (1975) focus on developing a specificstructure that can be incorporated with a variety of curriculums, with anemphasis on integrating social skills with academic tasks. Kagan’s workfocuses on the use of many different structures to help facilitate active learning,team building, and group skills. Slavin’s work utilizes methods from bothJohnson and Johnson and Kagan, and has resulted in the development ofspecific cooperative learning structures.Several approaches to cooperative learning include Circles of Learning(Johnson, Johnson, Holubec & Roy, 1984), Student Teams AchievementDivisions (STAD), Jigsaw, Group Investigation, and the Structural Approach(Arends, 1997). These are all specific models teachers can use to set upcooperative learning groups and to structure lessons. Research has shown that an important factor in improving pupils’ learning, motivation and behaviour at school is the opportunity for them to work successfully in groups. Given that we retain 90% of what we say and do, it would therefore seem only fitting that the promotion of collaborative learning opportunities be incorporated as a key feature of the Revised Northern Ireland Curriculum. However, while pupils may often sit in groups in our classrooms, research also indicates that they do not always work well collaboratively. Successful group work is not an easy classroom management option. Indeed, it demands a lot of skill on the part of teachers, many of whom may often feel reluctant to implement it either because of lack of confidence, experience and insufficient training, or because they do not wish to undermine their discipline or lose control, particularly of challenging classes or difficult pupils within a class. Nevertheless, given the current drive to raise achievement and promote more autonomous and active learning, it is important that teachers be prepared to let go and develop the confidence to try out more collaborative group work strategies. © 2016. Drawstring Partnerships Ltd. All rights reserved.